One guy, his guitar, a bunch of effects, and a whole lot of soul. That’s the equation behind In These Storms. Looping and layering his way into bright, uptempo post-rock melodies, Dave Preston follows the roadmap he first laid out on Be and Soundtrack for Motion. I feel I have to note up front that through the many times I have listened to and enjoyed this album, both in repeated review listens and in shuffled listens to my entire review queue, I’ve found that I enjoy it slightly more as an element that pops up to shine in a mix. Preston exhibits a masterful hand in building each song; it’s just that, for me, in a straight-through listen, the way each rises via repeating phrases becomes almost too expected. Taken on their own, however, every piece here has its own fresh character, its own message, and is fully engaging in its own way. Preston modulates his energy as he goes. “Fire” is about the highest-velocity track here, with a guitar that sounds like a hybrid of The Edge and David Gilmour (think “Run Like Hell”). Big power chords augment the bridge, and a galloping phrase rushes across the low strings. A steady bass drum beat intensifies “The Circle Around the Sphere.” The song’s central phrase has its own sense of urgency. Underneath, countering the push toward power, is a downplayed ambient swirl. And while we’re talking about catchy tracks and their beats, let’s listen to “Hologram.” A shuffling house beat snaps over a speedy arpeggio before mutated chords softly empower the melody. Listen closely to pick up some excellent textural work. The closing track, “Unity,” has a lot of the same sensibility. With a beat played on what sounds like a goblet drum, a pair of guitar loops share the lead. The sound is sunshine-bright and rich with harmony. On the quieter, more reflective side, “A Cared For Memory” sings a sweet ballad with an assist from a lovely vocal sample. Preston defaults to soft, sweeping chords here and lets their smooth resonance carry the feeling. “An Old Connection” skews more to the ambient side of things. Kicking off with the well-remembered sound of a dial-up modem reaching out to find the interwebs, this piece shimmers its way along. Reverse-echo notes and warbling chords chart the path, with a very subtle shaker sound keeping time in the undercurrent. As I said, I do prefer these pieces individually—or along with a few of their compatriots—but that is not to say that this isn’t a good album. It’s very good, and when you add it to your library, these songs are going to jump up and shine. 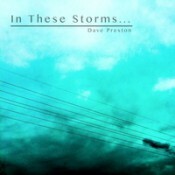 I have been a Dave Preston fan since he first impressed me with Be, and I’ve been waiting five years for him to follow up on Soundtrack… This album was quite definitely worth the wait, and it’s one that will keep a favored position in my own library. Beautiful songs, expert playing, seamless construction, and—like I said at the start—a whole lot of big, honest soul. Add this one to your collection now. Available from Dave Preston’s web site.